Hello! Recently I've been packing my already very busy schedule with photoshoot after photoshoot. 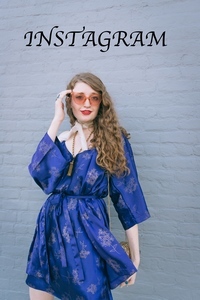 I know that I've said it before but styling and shooting for RaddayVintage reigns supreme as one of my favorite things about owning my own etsy shop. Letting my creative juices flow to create unique looks and aesthetically pleasing images just feels so right. In the next couple years, I'd love to try my hand at freelance styling as a career and expand my reach to working with many different brands. For this shoot, I had the pleasure of working with Elissa Rumford. You can check out more of her work on Instagram @elissarummy or on her VSCO. When I discovered that Elissa shares my love for the nineties, I decided to pull several nineties vintage beauties from RaddayVintage's inventory to shoot. We started with a beautiful paisley printed dress in rich autumnal colors accompanied by a fab pair of Givenchy sunglasses, vintage Doc Martens and a vintage suede fringe jacket. You can shop the dress here and the jacket here in RaddayVintage. For the next look, we decided upon a very nineties striped minidress. 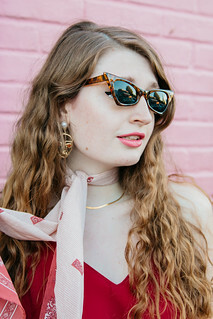 I styled it with a classic pair of RayBan sunglasses, beat-up white Converse sneakers and a choker necklace- all very reminiscent of the nineties. For a couple shots, I also layered a denim jacket adorned with quirky patches with the dress. You can shop the dress here and the jacket here in RaddayVintage. I pulled out a grunge-y red plaid midi/maxi dress for the third look and styled it with a vintage pair of Doc Martens, a choker necklace and statement cat-eye sunglasses. I love how this look looks against the industrial setting that we shot this look in. You can shop the dress here. The last look (and quite possibly my favorite look out of the four) was styled around a dark floral nineties minidress. Brb- swooning over the moody print, dark colors and short silhouette of this dress. I paired it with a vintage men's blazer, choker necklace and super retro mod platform heels. What really gets me about this look is how unique yet totally wearable it it. 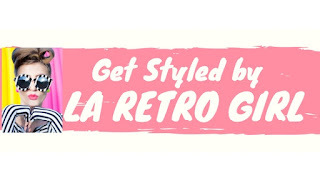 And hey, most of it's available in RaddayVintage so you can rock this look for yourself. You can shop the blazer here and the dress here.